The Rainforest, rivers, sea, climate, native people’s history, galleons, slaves, pirates, and merchants have joined together to form a Portobelo that is bio-diverse and rich in cultural, ethnic and varied artistic expressions. These expressions range from the delicate woodwork of carpenters, the interpretative dance and artistic sounds of young local Congo performers, to the dance and music emanating along the coastline during the area’s holidays. All this wealth does not deny the fact that Portobelo presents great deficiencies in the education, health and welfare of its people. 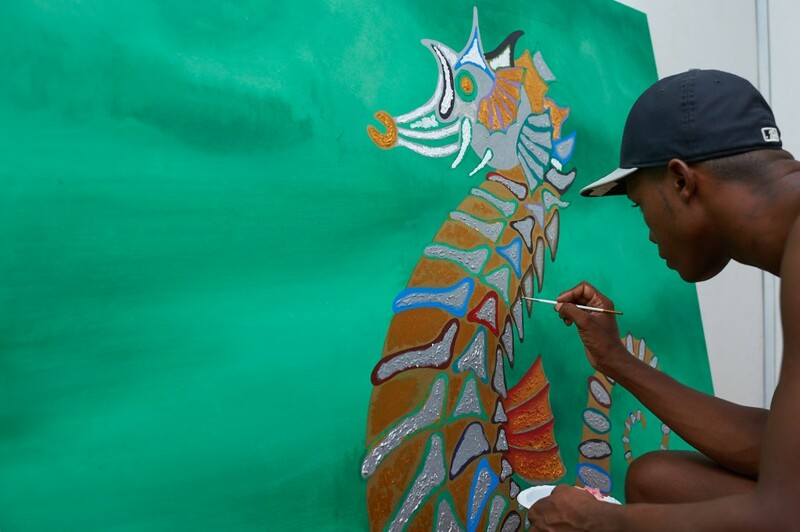 The Portobelo Bay Foundation, together with the caretakers of El Otro Lado, is committed to improving the quality of life of the community with programs that seek advancement through culture, and with initiatives that promote development with identity. In this way, El Otro Lado becomes a vehicle of cultural expression that allows its guests to participate, with their stay, in the integral development of Portobelo’s population. And, the experience goes both ways: the visitors’ presence supports the Foundation’s non-profit activities and the visitors in return receive an immersion experience in the rich riot of color, the sensuality and the strength that the Congo culture has to offer. La Escuelita de Ritmo, the Carpentry Workshop, the Art Gallery, the Devils and Congo Festival and La Casa de la Cultura Congo are all initiatives driven by the Portobelo Bay Foundation and with which the visitors to El Otro Lado can interact and contribute. Any participation will always be welcome!